For 30 years I didn’t think so. I just couldn’t understand what the fuss was all about. What difference did it make whether God created instantly in a matter of a few days or gradually over millions or billions of years? I was a Theistic Evolutionist — one who believes in evolution, but believes that it was God directed. One of my problems was that I had grown up in a church that focused its study of the Bible almost exclusively on the New Testament. I had never really read and studied all of God’s Word. When I did, I immediately dropped my flirtation with evolution. But think for a moment: if we cannot trust what the Bible tells us about the creation of Man and the universe, then what part of the Bible can we believe? Was there really a worldwide flood? Did a man named Abraham really exist? Did Jesus die on the Cross for our sins? Was He resurrected from the dead? If you start picking and choosing what part of the Bible you are going to believe, how are you going to determine what is true and what is false? A. Criswell, the pastor of First Baptist Church in Dallas for almost 50 years (1944 to 1993), always characterized those who picked what parts of the Bible they wanted to believe as “Leopard Theologians.” He called them that because he said they believe the Bible is inspired only in spots, and they think they know which spots. I tried to deal with the Bible’s creation account by arguing that it used symbolic language. But there is no basis for drawing that conclusion. them, and rested the seventh day. Theistic Evolution presents an entirely different picture. It holds that God used a very vicious and violent method of creation — “the survival of the fittest.” In other words, creation occurred in a dog-eat-dog atmosphere that was anything but good. Theistic Evolution also makes a lie of what the Bible teaches about sin and its consequences. According to the Bible, sin came into the world through the rebellion of Adam and Eve against God’s will. One of the results was physical death. Another was the curse which God placed upon nature. Theistic Evolution turns the Biblical picture upside down, for it portrays all of creation as being involved in a death struggle before the evolutionary appearance of Man — and thus before Man could ever have sinned. Did death exist from the beginning of life, or was it the consequence of Man’s sin, as God’s Word says? When I decided to believe God’s Word, I had to junk evolution in any form — both the theistic and scientific forms. That raised new and tough questions for me. Is the earth only six to seven thousand years old? What about the fossil record? What about stars that are so far away that it has taken millions of years for their light to reach the earth? Fortunately for me, as I began to wrestle with these tough questions, I ran across the voluminous publications of the Institute for Creation Research, an organization of scientists who are Christians and who accept the Genesis account as literal. Through their writings I began to find answers to my new questions. The same would be true of a full grown tree. If I created it that way, I would have a tough time trying to convince you that it did not grow from a seed. The same is true of our universe. When God created it, He created it in maturity. The light from the most distant stars did not have to travel hundreds of millions of miles over millions of years to reach the earth. The stars were created with their light already reaching the earth. 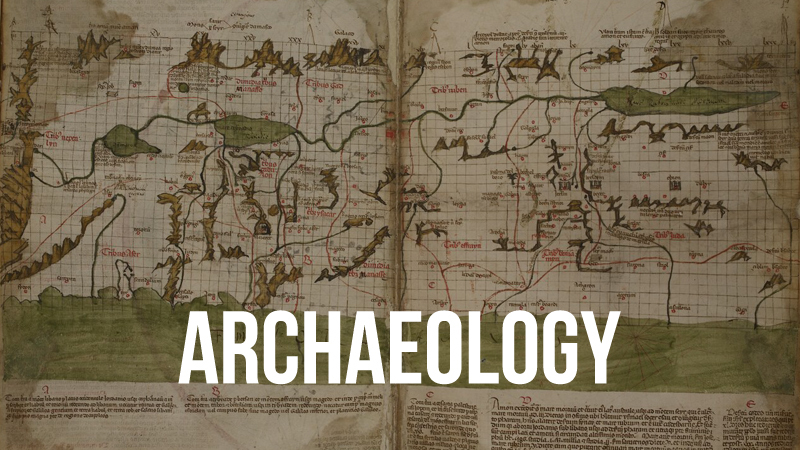 But what about the dating techniques that indicate a very ancient age for the earth? The fact is that all of them are based upon evolutionary assumptions to begin with, and thus they produce highly distorted, untruthful results that conform to their built-in evolutionary bias. One of the strangest things about the modern Theory of Evolution is that it denies one of the fundamental axioms of science! Consult any physics book and you will find what is called the Second Law of Thermodynamics. It holds that everything in the universe is running down — that all of creation is moving from order to disorder. This law of physics is nothing but an expression of common sense. If you don’t believe it, just look in a mirror! Your body is aging, and there is nothing you can do to stop it. You can camouflage it, but you can’t stop it! This law of physics is the reason we have to have maintenance programs for cars and buildings. If we don’t maintain them, they will stop running or fall down. Now, the point is this: evolution contends that all living things in the universe are moving in exactly the opposite direction — from disorder to order, from simplicity to greater complexity. 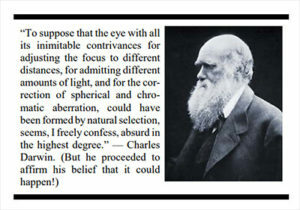 Evolution contradicts one of the fundamental rules of science! 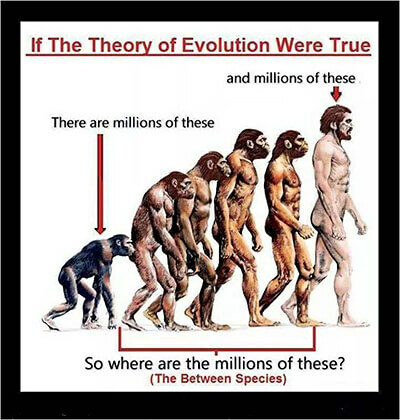 Evolution also contradicts common sense. The complexity of the universe demands a designer. How could the human eye have developed by chance? To say it did is equivalent to saying that a Boeing 747 is the accidental product of a tornado blowing through a junkyard! Scientists tell us that the whole universe came into existence as the result of a “big bang.” Again, this contradicts common sense. How many explosions have you ever witnessed that produced order instead of chaos? 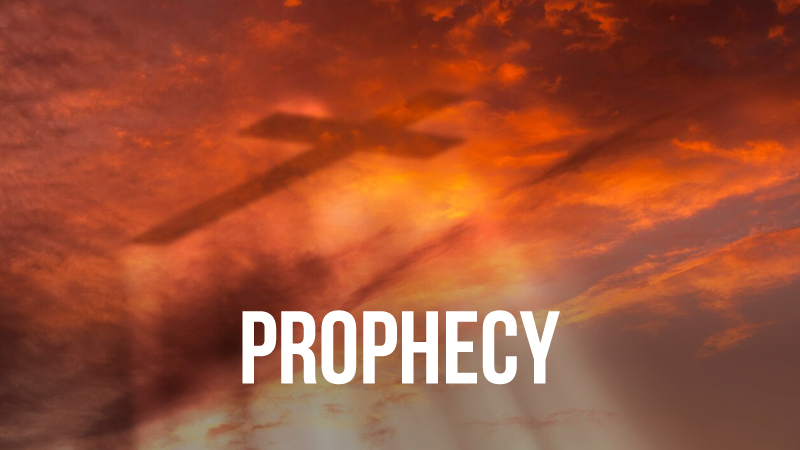 The development of the Theory of Evolution is prophesied in Scripture as one of the signs of the end times. The prophecy is found in 2 Peter 3:3-7. It says that “scoffers will arise in the last days” and that they will mock the promised return of the Lord by saying, “Where is the promise of His coming? For ever since the fathers fell asleep, all things have continued as they were from the beginning of creation.” Peter says that these people will deliberately ignore the fact that God created the world and then destroyed it with water. The scientific principle prophesied in this passage is what is called Uniformitarianism. It is one of the cornerstones of Evolution. It is the idea that things have always been essentially the same, changing only minutely over billions of years. This idea denies what the Bible teaches about special creation out of nothing. It also denies the Bible’s historical record of a worldwide flood and the Bible’s promise that one day God will destroy the earth again with fire. The Bible says that God pours out His wrath on nations that “suppress the truth in unrighteousness” (Romans 1:18). We are doing that today in America. Our public schools are not allowed to teach children the true origin of the universe. Only the lie of Evolution can be taught. The same passage in the Bible says God’s wrath is also poured out upon those nations whose people “serve the creature rather than the Creator” (Romans 1:25). The teaching of the Theory of Evolution has led this nation to the point where we are now worshiping the creation rather than the Creator. Our god is “Mother Earth,” not Father God. Christian parents who have their children in the public schools need to take upon themselves the responsibility to teach their children the truth about the origin of the world and life. 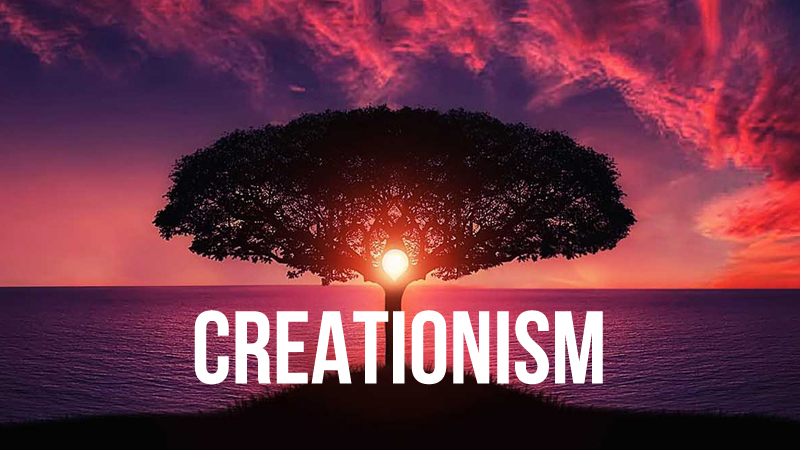 The Institute for Creation Research has prepared teaching materials for all ranges of age, from pre-school through adult, including graduate level materials. You can secure a copy of their publication catalogue by calling 800-337-0375. Their mailing address is P. O. Box 59029, Dallas, Texas 75229. Their web site can be found at www.icr.org. Another good source for Creation study and teaching materials is the ministry called Answers in Genesis. Their mailing address is PO Box 510, Hebron, KY 41048. You can find their website at https://answersingenesis.org. This is the ministry that has built a full sized replica of Noah’s Ark in Kentucky. And if you want to learn how to teach Creation and counter the attacks on it, you need to get in touch with the Creation Training Initiative which holds seminars all over the nation. You can contact them through their website at www.creationtraining.org. printCreation or Evolution? On Which Do You Stand? 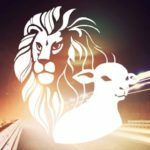 Lamb & Lion Ministries was founded in 1980 as a non-denominational, independent ministry. The Ministry does not seek to convert people to any particular church. Rather, it seeks to lift up Jesus and draw people to Him as Lord and Savior. The Ministry was established for the purpose of proclaiming the soon return of Jesus. We do not believe it is possible to know the date when Jesus will return. But we do believe it is possible to know the season of the Lord’s return, and it is our conviction that we are living in that season.